John Legend and Chrissyhave showed their love for one another by getting matching tattoos in tribute of their marriage and children- 2 year old Luna and 20 month old Miles. The two posted photos of matching tattoos on Instagram with a caption “Hey guys please don’t talk to us unless you have tattoos. 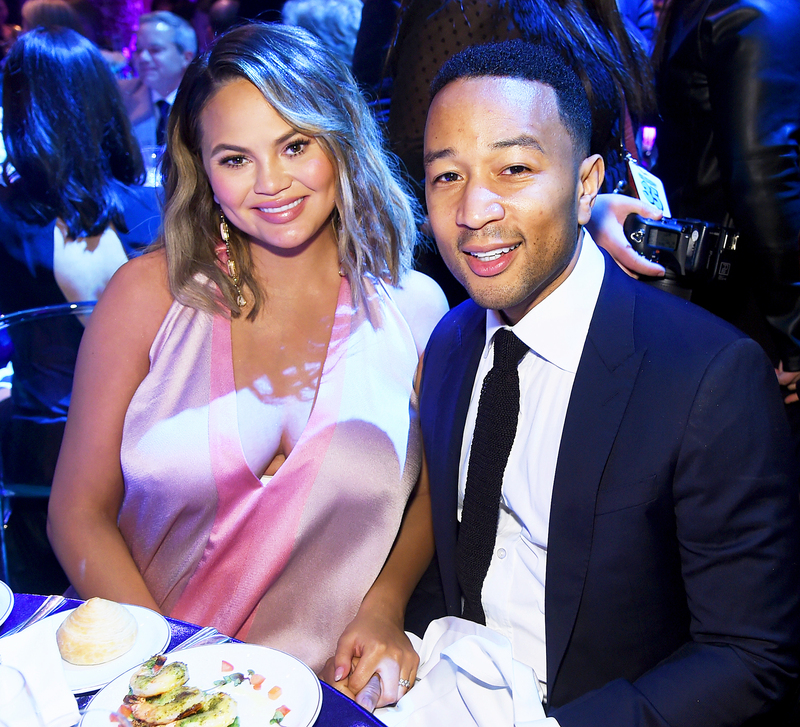 In the picture Chrissy Teigen and the “All of Me” singer, showed black script names on their forearms.Legend’s tattoo read “chrissylunamiles” while Teigen’s tattoo read “johnlunamiles”. John and Chrissy tied the note way back in 2013 before starting their family three years later when Luna was born in 2016. Luna became a big sister in 2018 when Miles was born. This is not the first time that Teigen has gotten a matching tattoo. In May 2017, Teigen, a two-time mother got herself a henna with a stranger. At the time, Teigen captioned on her Snapchat the statement “Hey guys, this is me and Eddie, and Eddie’s gonna get a matching tattoo on his lower back with me”. Tattoos have proven to showcase what couples feel about one another with many celebrities getting one or even more. Teigen’s family members have also shown their love for tattoos with Ron Teigen’s getting a face of her daughter on his arm. Chrissy then captioned a photo of Ron together with the tattoo artist, Mark Mahoney. Chrissy was celebrating her 40th birthday when her dad got the tattoo. The couple’s fans are pretty sure that the two will get more tattoos in the near future as more and more things continue to unravel. For now, the couples will continue feeling good about their newly acquired tattoos which seems to have created a strong bond between the pair. To make it even interesting the tattoos will constantly remind them about their two children who have made their family even happier.